Fauquier Health employees were shocked and saddened recently when Director of Facilities Doug Dunkle passed away suddenly. Doug was an employee of Fauquier Health for 16 years; those who worked most closely with Doug spoke of him with fondness and great respect. Bruce added, “His memory was incredible. He’d remember the name of a vendor we used eight years ago, and he’d be able to tell you where the folder was with the paperwork from that job. Several of Doug’s co-workers broke into knowing smiles when talk turned to the big snowstorm in February. 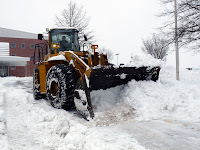 Jerry Hansel, director of Environmental Services, said, “Doug managed to wrangle the last front end loader in the area to use for removing snow. Doug was defi - nitely in his glory driving that around." 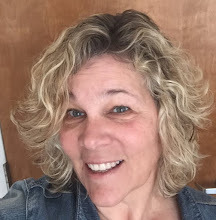 Laura Nicely, supervisor of biomedical engineering, said, “I knew Doug for 14 years. I didn’t like him every minute, but I loved him. Here in Facilities we called him ‘Dad.’ When his wife called me to tell me of his death, she said she wanted to call me personally, because Doug cared so much about me. died that he always referred to us as ‘his guys.’ I never knew that.